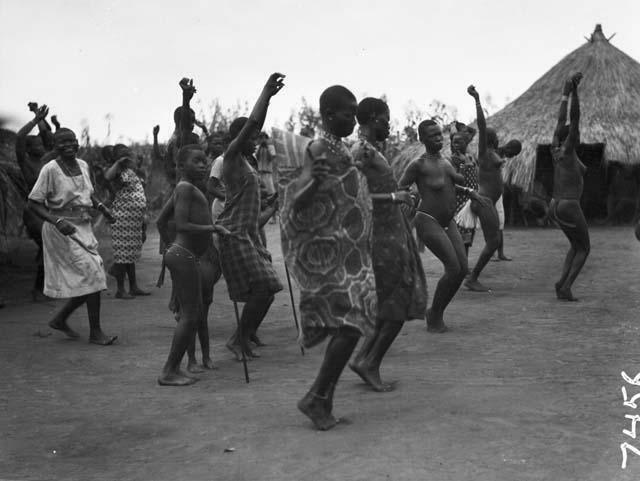 Above: phallic worship among the Shilluk. A woman having her eyebrows and lashes plucked out. Native huts in Cameroon ca. 1860. 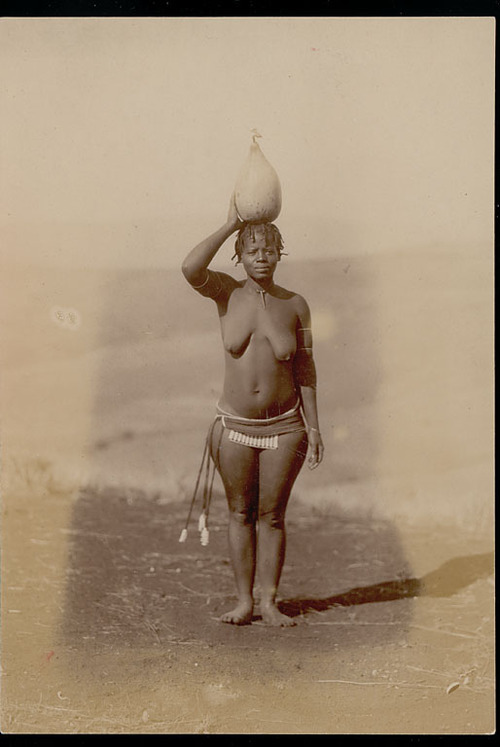 An early 20th-century photo playing on the stereotype of the Moorish slave. Voodoo trance in Benin. 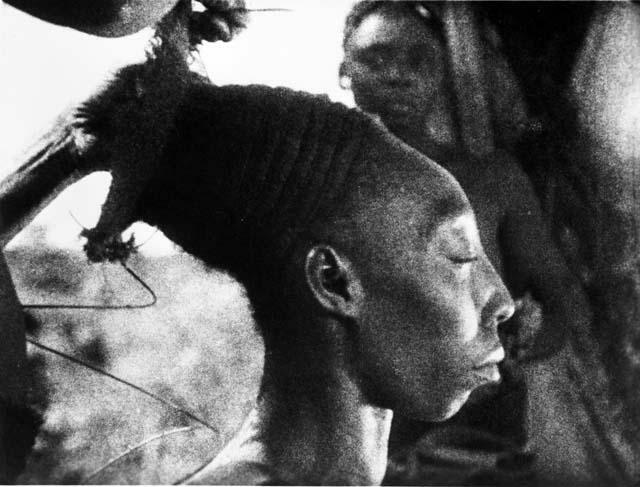 Photo by Pierre Fátúmbí Verger (1950s). Children with inherited syphilis scars. A tumor of the eye. This swollen leg is probably elephantiasis. A photo from East Africa: Oedipus and Antigone. A street in Nyasoso, Cameroon. The governor's residence in Buea, Cameroon, in the 1880s. 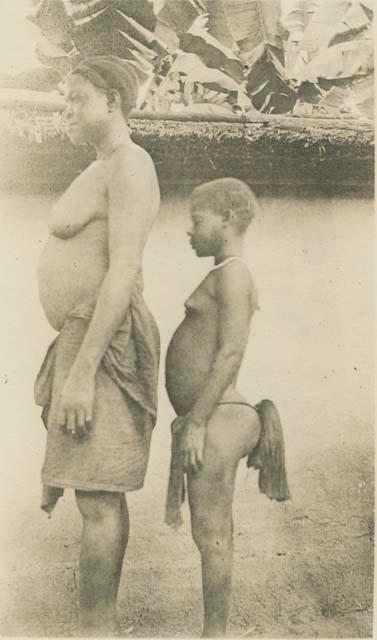 Bantu and Pygmy: two tribes often found together. 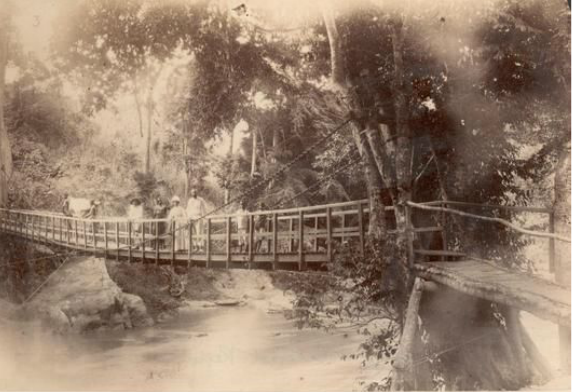 Steps up to a suspension bridge in Loffa, Liberia, 1929. 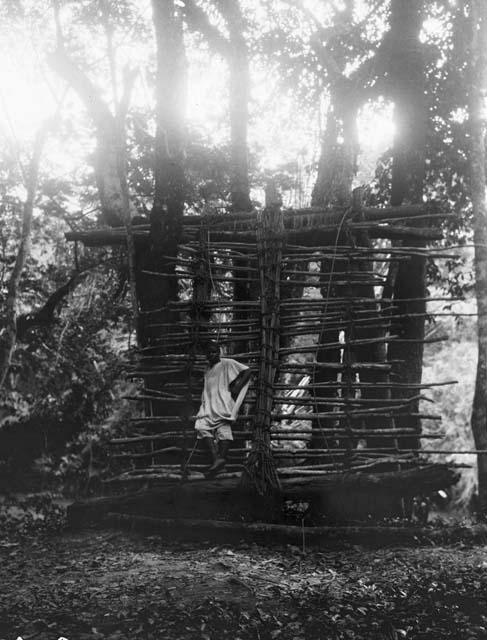 A bird spider hole used as an oracle, 1920. Ruins of the mausoleum where the bones of kings of Kumase, Ghana were kept in individual cells. 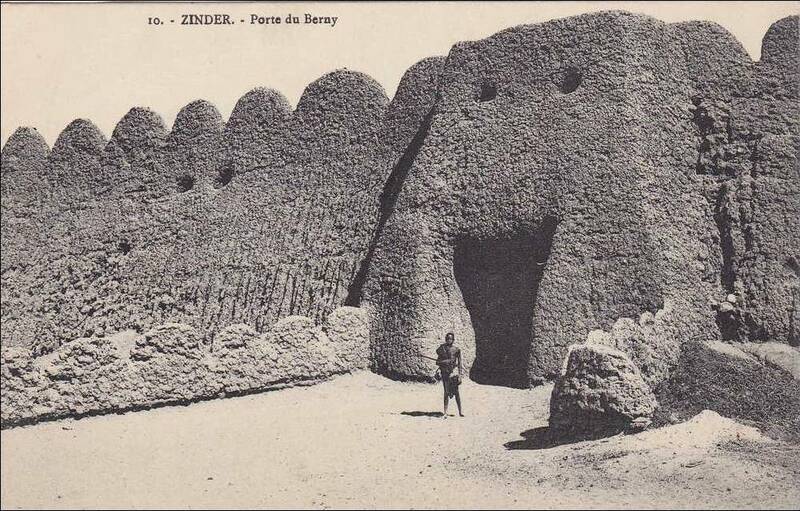 Destroyed by British troops in 1896. Two women given in pawn on their husband's debt. 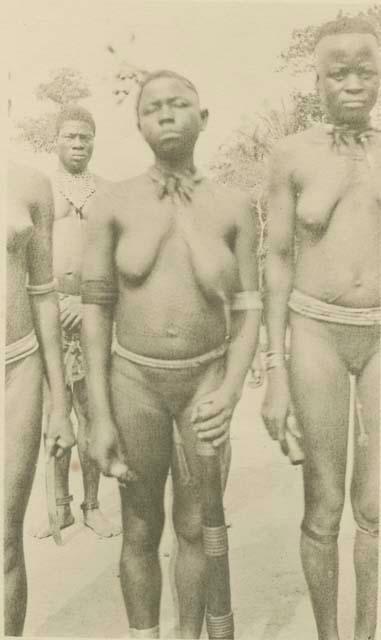 Cameroon, 1929. 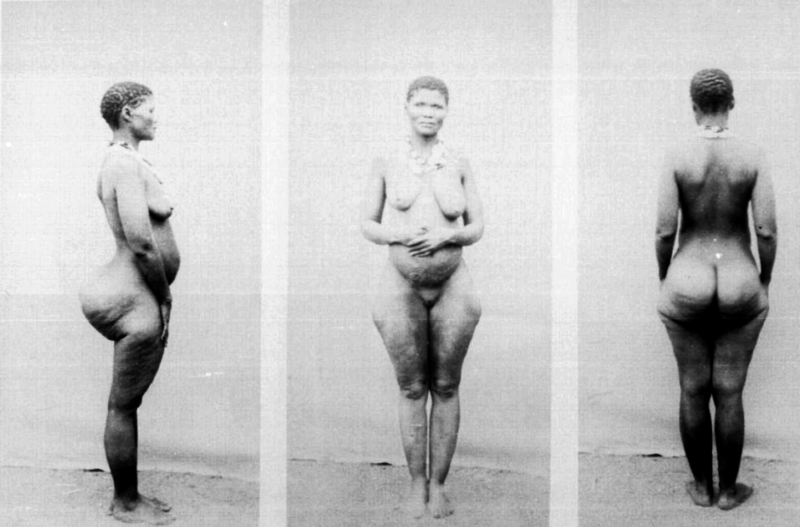 A Mandingo woman in 1879. An Ashante doctor in 1874. 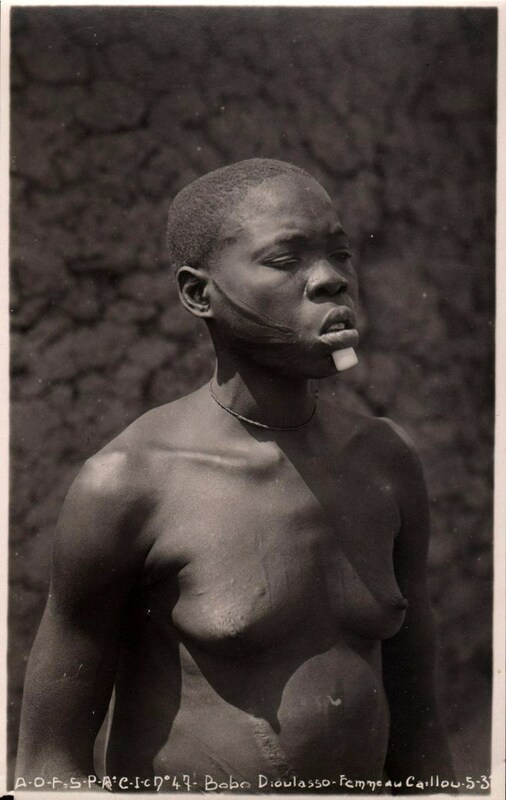 Boy dressed for a circumcision ritual. 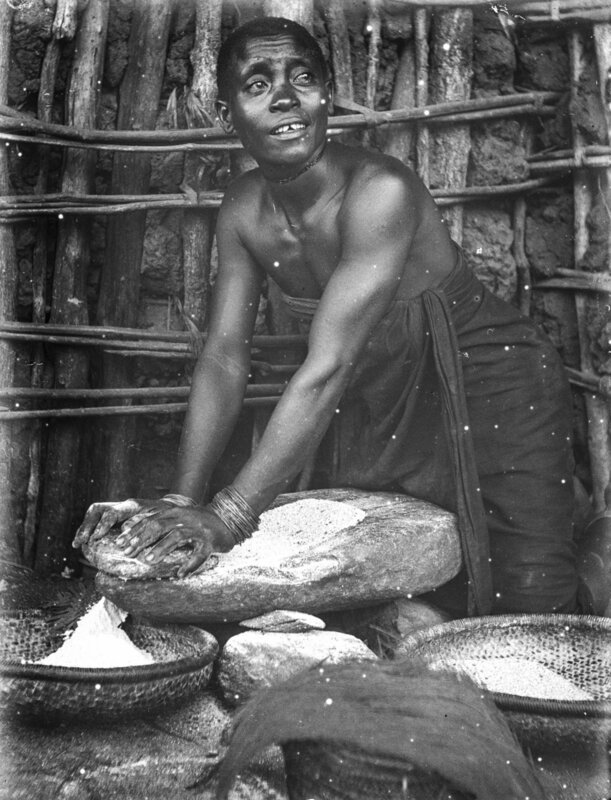 Cameroon, 1921. Above: a Pygmy vine bridge. 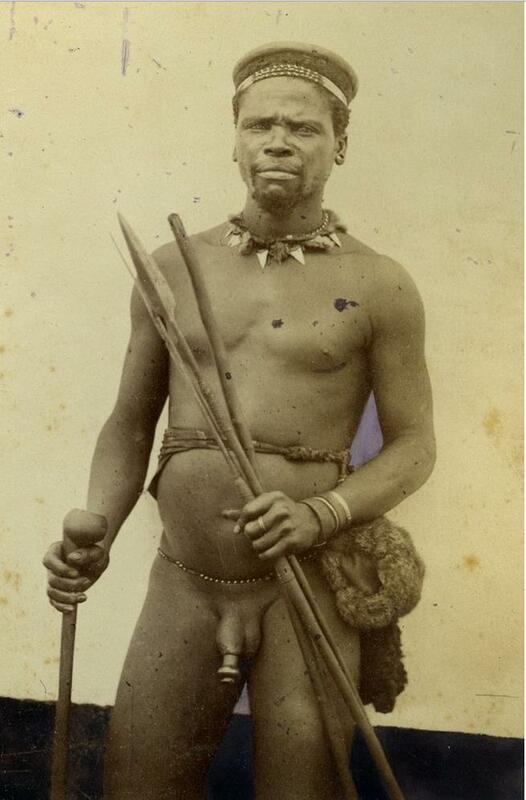 Above: elephantiasis of the testicles. 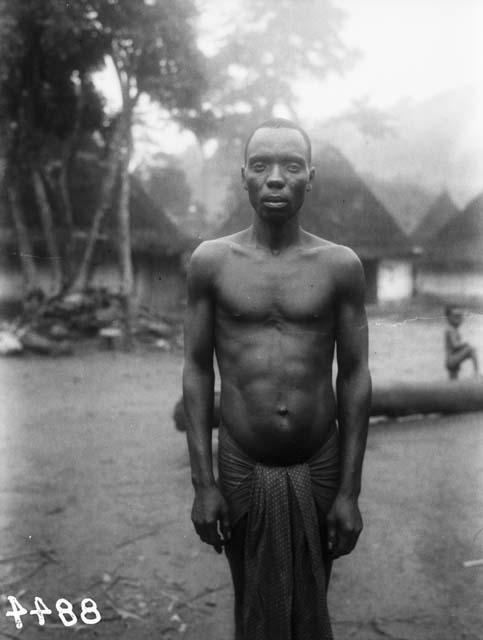 Above: an enslaved man. 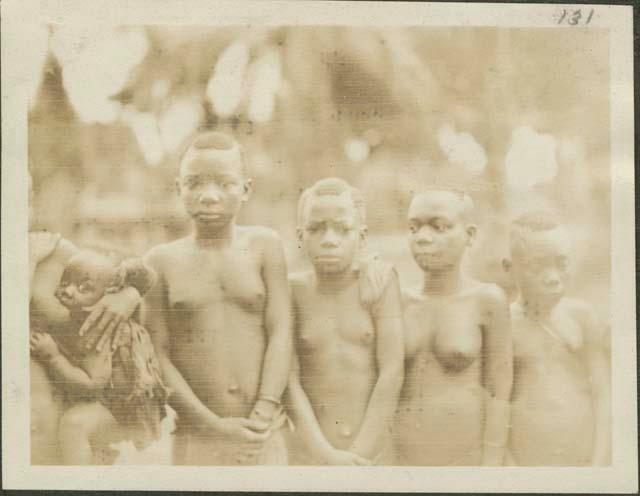 Photo by Joseph Burtt, sent to West Africa in 1905 by the Cadbury Company of England to investigate rumors that slaves were used to harvest cacao in the Portuguese colonies. 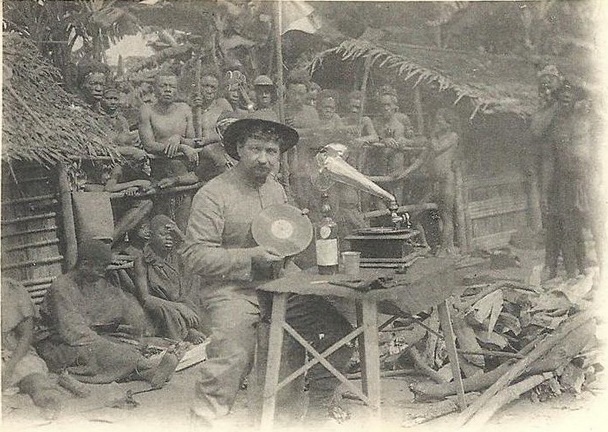 Above: a photo taken by explorer Henry Morton Stanley. Above: a scene from South Africa. People on a road: a timeless image. 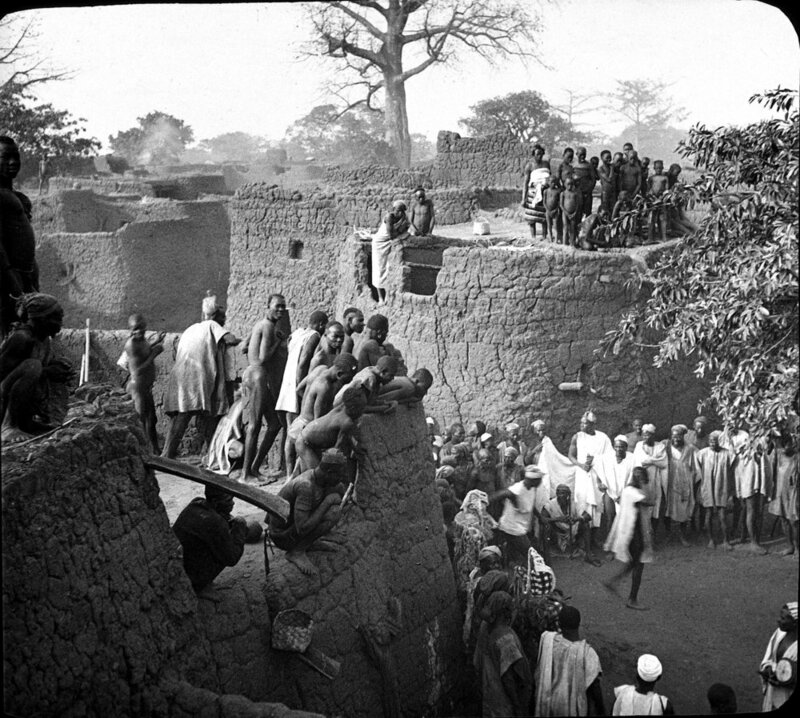 Above: ruins of buildings in Ghana looted by British troops following a rebellion. 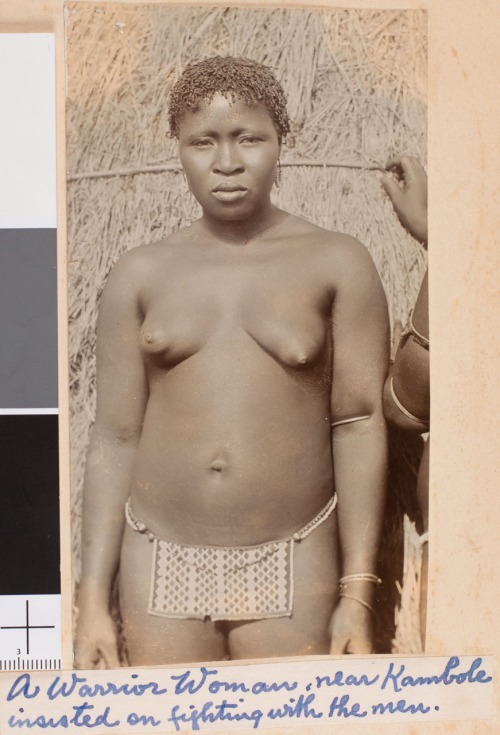 Above: from a German expedition to Africa 1906/07. 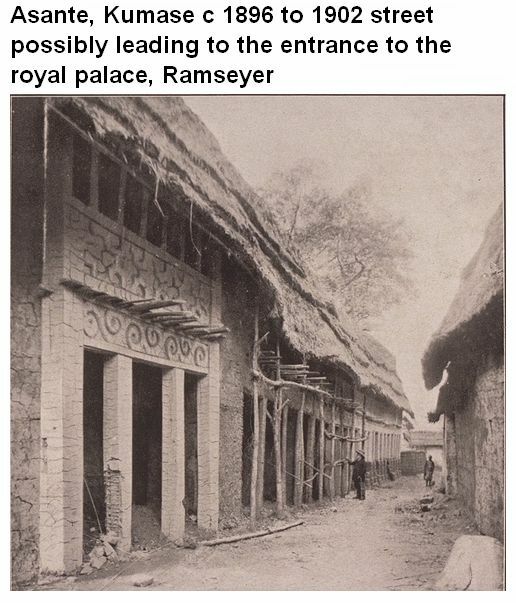 Above: a German photo taken in Abyssinia.